This horse trekking holiday is the opportunity to explore the undulating foothills and ‘moyenne montagne’ of the unspoilt and stunningly beautiful Ariege Pyrenees. Breathtaking scenery is guaranteed. 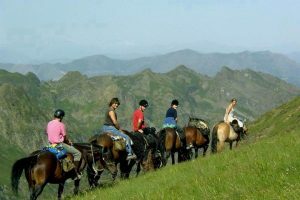 Is this horse trekking holiday for me? On each day, the average time in the saddle will be between 5 and 7 hours. 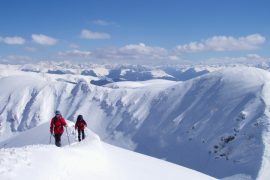 They trek is however not technically difficult and is open to all regular riders. 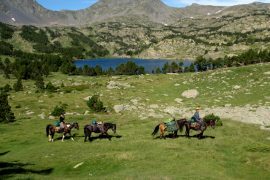 This area of the French Pyrenees enjoys an extensive network of horse-friendly paths and tracks. In days gone by, many of these paths were trade routes used by mules carrying farmers’ produce to market. 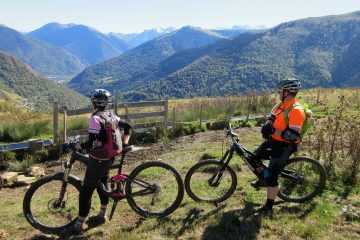 Today they are used by horse riders, hikers and even mountain bikers who wish to discover the hidden corners of the Ariege Pyrenees. On your trek you’ll pass through authentic villages that seem to be frozen in time. As you head higher into the mountain environment you may see some of the stunning wildlife that call the mountains their home. Chamois, deer, vultures and eagles are all a common sight here. In late September you may see and hear the red deer rut as you ride through the woodland. Nature is King in these parts. 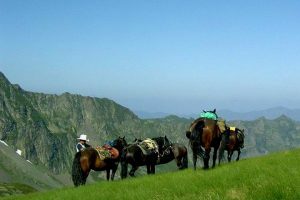 Your mount on this three day horse trek is the native Castillon breed of horse, bred by the owners of the stables in the Ariege Pyrenees. These are trusty, solid, good-natured and sure-footed horses, well used to the mountainous terrain of the area. 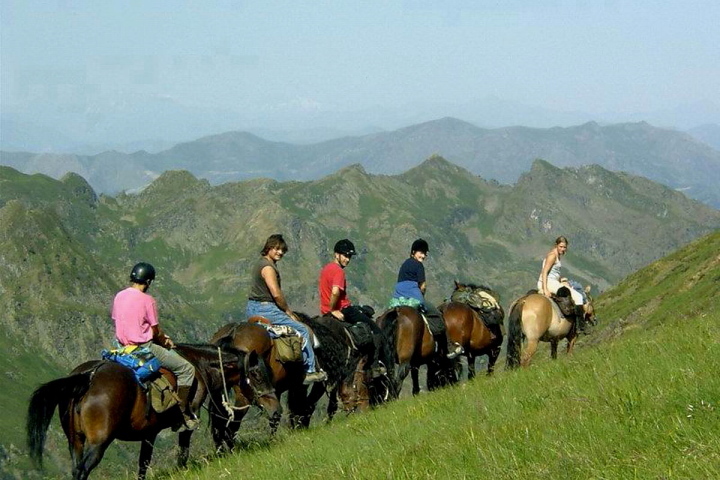 On each day of this horse riding holiday in the Pyrenees you can expect to spend between 5 and 7 hours in the saddle. The following is an outline itinerary which may change depending on weather conditions. 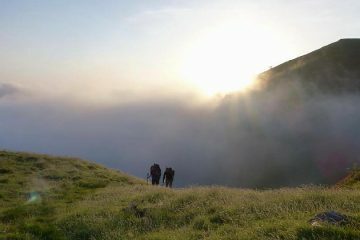 After a good nights sleep you’ll wake up to a copious breakfast before you leave the B&B to head for the stables up the Biros valley. There, you’ll meet your guide who will introduce you to your trusty steed for the trek. 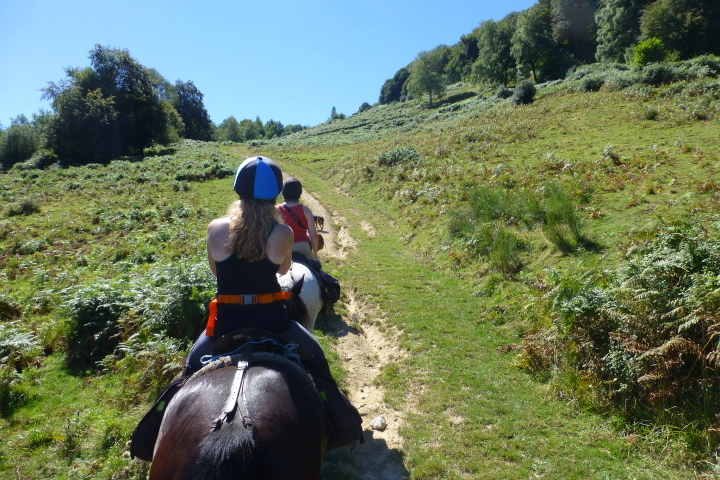 Once you are saddled up he will guide you off the beaten track up into the ‘moyenne montagne’ to an altitude of 1200m from where you’ll descend down into the Bellongue valley. You’ll spend your second night in the same B&B as the first night where you’ll enjoy more good food and wine! 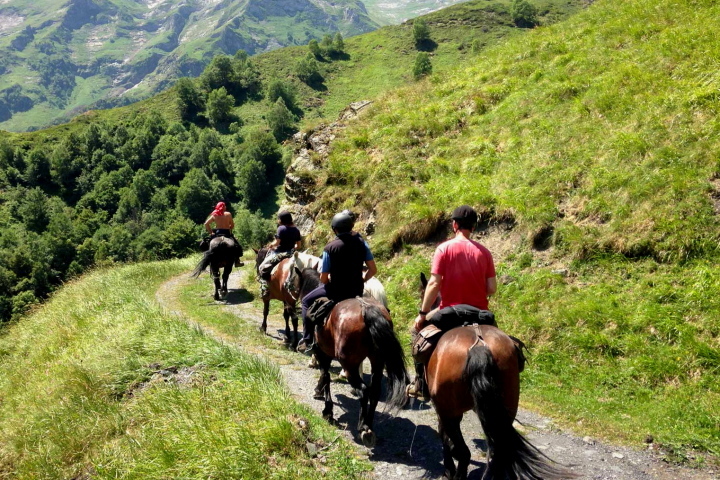 On your final day on the horses, you’ll make your way back over to Sentein in the Biros Valley. After saying goodbye to your trusty steed you’ll drive back down the valley to the B&B in the Bellongue valley for your final night in this stunning area. The overnight accommodation for this horse riding holiday is warm and welcoming bed and breakfast accommodation. If you prefer some comfort on your horse trekking holiday then this is just the ticket. 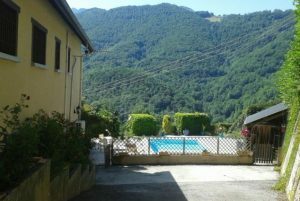 Nights 1, 2 and 4 – you will spend these nights at the same B&B in the Bellongue Valley area of the Couserans Ariege. 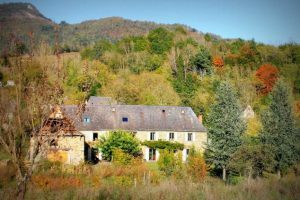 This is a lovely old farmhouse B&B, full of character and with peaceful gardens in which you can relax. Great food and comfortable beds are the order of the day here. The organisation of the holiday has been first rate, with lots of attention to detail and quick answers to any questions we had. Fantastic accommodation, lovely people, super horses in fabulous countryside made for a brilliant holiday to celebrate a ‘special’ birthday of one of our party. Both chambres d’hotes were really welcoming and comfortable with super food. Marion and Anthea were lovely hosts and looked after our every need. Arriving with my three English friends on the first night of our three day mountain horse trekking holiday, we all immediately fell in love with Bed in Bellongue! From the welcome we were given by Marion to the superb rooms, meals and glorious views everything was perfect. When we arrived back from our rides, tired, hot and thirsty it was the perfect place to relax and recoup for the next day…..a real home from home. Willi and Chantal gave us a wonderful experience with their lovely Castillon horses. They are amazing mountain animals and perfect for the sometimes quite testing terrain we travelled over, and so gentle and friendly that we all wanted to take our steeds home with us! Chantal is such a friendly and knowledgable guide, and made looking after us and the horses welfare her first priority.